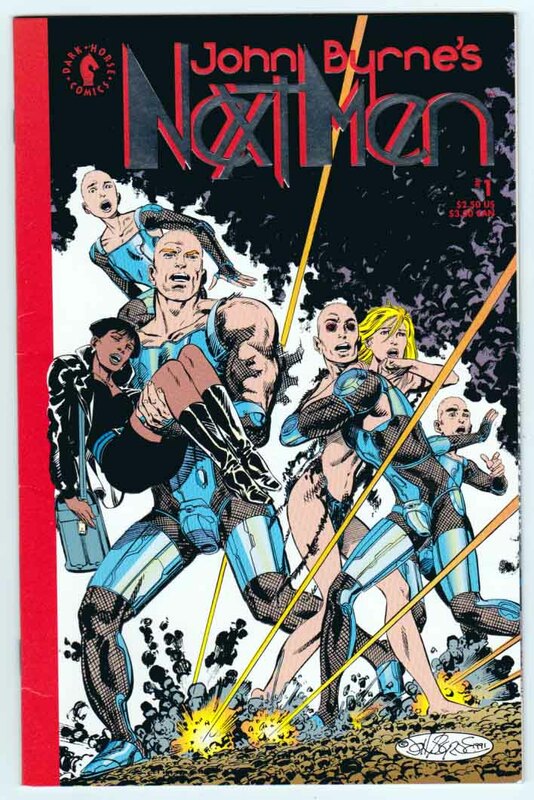 Next Men #0 (1992) John Byrne Art, Cover, & Story. 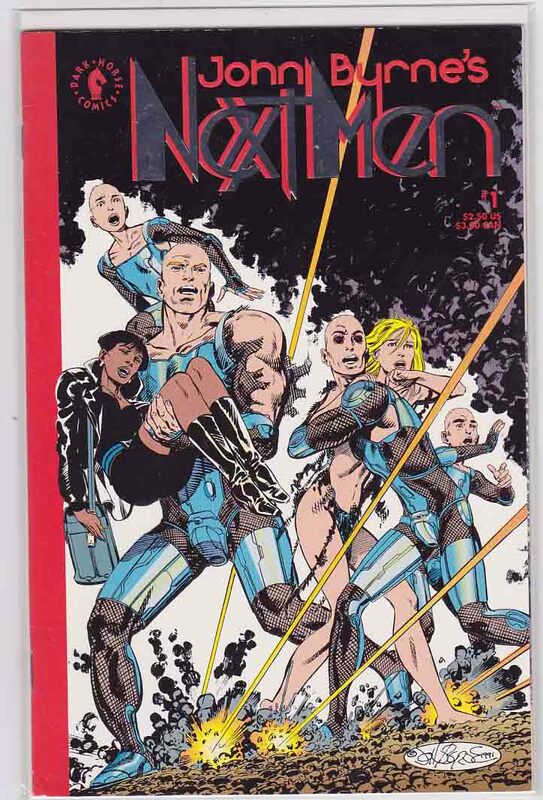 "Prelude", "Interlude", "Interlude II", "Nativity"
Next Men #1 (1992) John Byrne Art, Cover, & Story. Dreams...disfigurement... and death. The mutates escape from Project Next Men only to find themselves on the run in a world completely different from their memories. During a mysterious encounter in the desert, they begin to realize that they were locked in fantasy, and they must come to terms with the real version of reality before their former captors track them down. 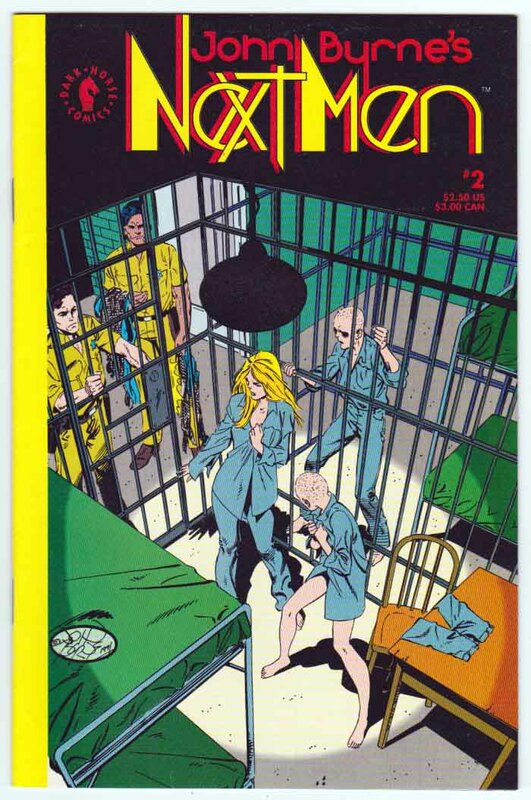 Next Men #2 (1992) John Byrne Art, Cover, & Story. In this issue, titled "Worldview," the mutants have been separated for the first time. They're jailed, hospitalized, or...somewhere else. Jasmine is desperate for news of Jack. But how can she go to him if she's caged? Maybe her strange new abilities will help. Next Men #3 (1992) John Byrne Art, Cover, & Story. The world has its first taste of just how deadly the escapees from Project Next Men can be when a simple rescue becomes a violent blood bath. Meanwhile, Senator Hilltop continues his evil machinations with his shadowy partner, someone familiar to readers of 2112. 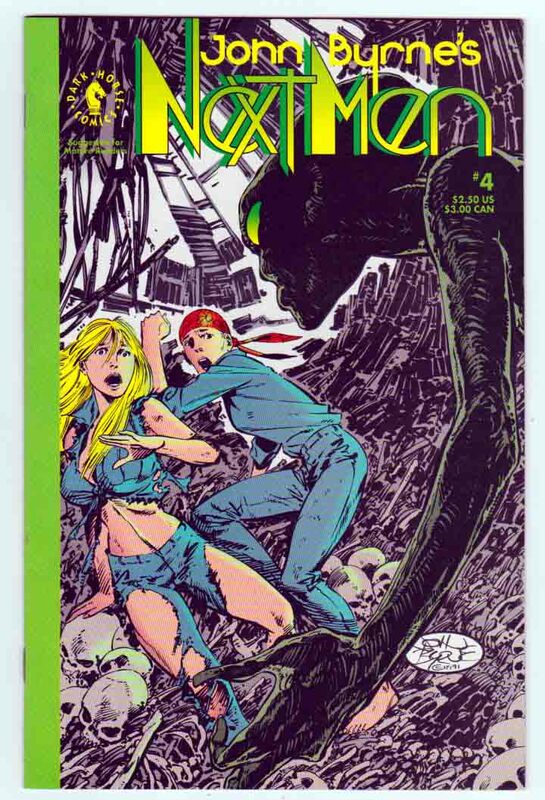 Next Men #4 (1992) John Byrne Art, Cover, & Story. The mutates are reunited and begin to learn more about their strange new world. Bethany discovers that the Next Men are not the only survivors of the Project. There are also some mistakes, genetic mutations that want something from their more perfect brothers. 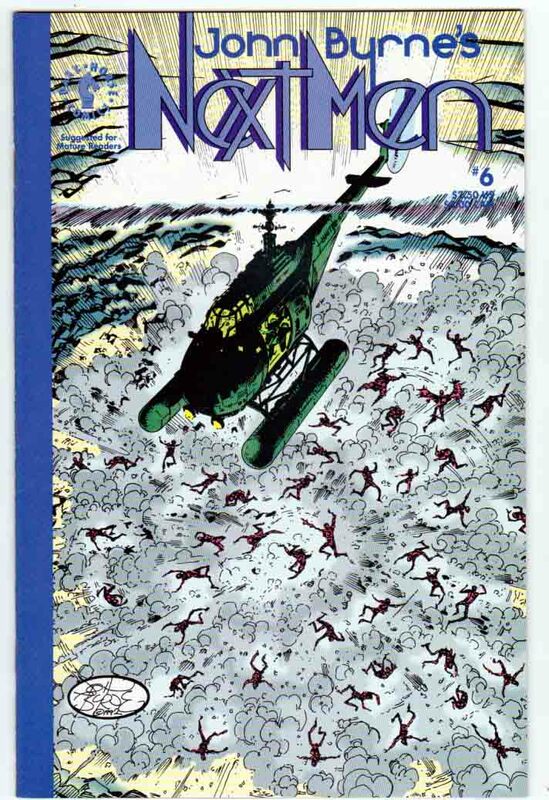 And last issue's plane accident has stunning repercussions. Next Men #5 (1992) John Byrne Art, Cover, & Story. The Next Men are headed to Washington, D.C., after their encounter with another survivor of Project Next Men. This issue marks the end of the first day in the mutates' new lives, while forces in Washington conspire to make their futures even more complicated. We learn the identity of Tony Murcheson's contact, the elusive Control. And then there's Senator Hilltop, who's moving up in the world. Next Men #6 (1992) John Byrne Art, Cover, & Story. Here it is- the comic so daring that the title characters don't even appear in it! That's because at the time this issue takes place, they don't yet exist! This look back at the genesis of Project Next Men will answer all those nagging questions about what's behind Senator Hilltop's scheming, and how he met his sinister partner.